The growth rate of our economy has declined from around 8 percent in the mid part of decade to nearly 5.5 percent and expected to be around 6.3 percent in this fiscal. Many an expert is breaking the head to find the reasons for the slowdown in growth. 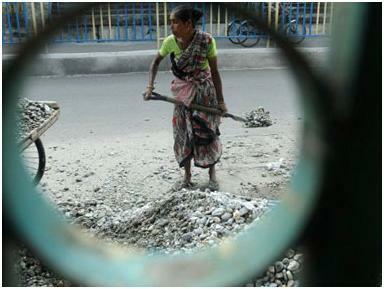 The government economists like Rangarajan and Raguram Rajan ascribe this to global slow down as well as delayed decisions in acquiring land and providing clearances for major infrastructural projects. They are right but only to a very small extent. The main growth in our economy has come about due to service sector whose share in GDP is around 65%. Whenever the term ‘service sector’ is mentioned, the immediate recall is IT and companies like Infosys or Wipro. Factually, all software related activities come under business services, which itself is less than 5% per cent of our National Income. The service sector covers a much larger canvas and this sector is the fastest growing sector in our economy, generating scope for large-scale employment. 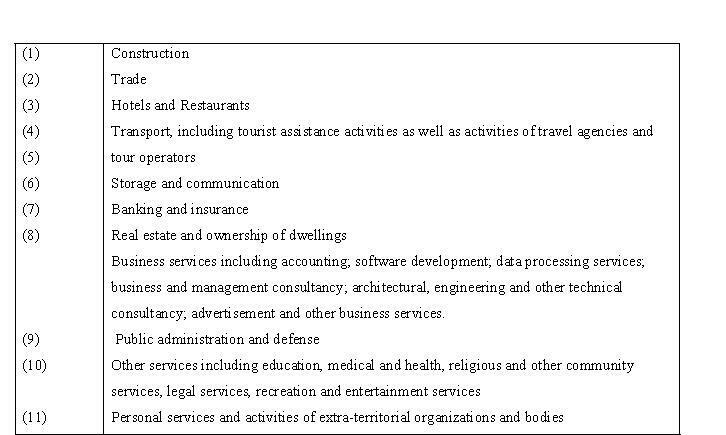 We have mentioned the activities, which constitute the service sector in Table-1. We observe that this sector encompasses diverse activities carried on by large multinationals as well as roadside entrepreneurs. Normally construction is included in the secondary sector along with manufacturing in developed countries. But given the labor intensive construction and major single house construction by smaller contractors, we have included it in service sector; National statistical commission has included construction as part of service sector. Note: We have considered “Construction” as part of the service sector in our discussion even though sometimes, it is considered as part of the “Secondary sector”. See “Report of the National Statistical Commission”, [NSC] PP 186, Vol II August 2001. Ministry of Statistics and Programme Implementation, New Delhi. 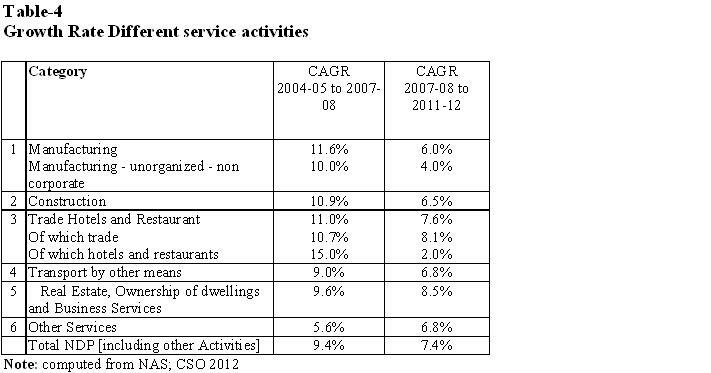 We find that the service sector had a share of 60% in 2004-05 which increased to nearly 65 % of the GDP and it has grown[CAGR] by 17% during 2004/05 to 2011-12 (current prices) which is higher than that of industry at 15 % and overall growth rate of 16 % . We find that service sector has larger share as well as greater growth during the last seven years. See table-2. It is interesting that the corporate sector which has less than 12 percent of our national income gobbles up nearly half of the bank credit. Even though the unorganized or non-corporate sector is fastest growing its credit needs are not met by the banking sector but by private money lenders etc. and the cost of borrowing us as high as 5 to 6 % per month-namely around 70 % per annum. In other words the most productive and growing sectors of our economy are starved of bank credit so that they depend on money lenders and other such sources including Saradha type enterprises! We estimate that more than 70 percent of retail trade needs are met by money lenders /chits etc. 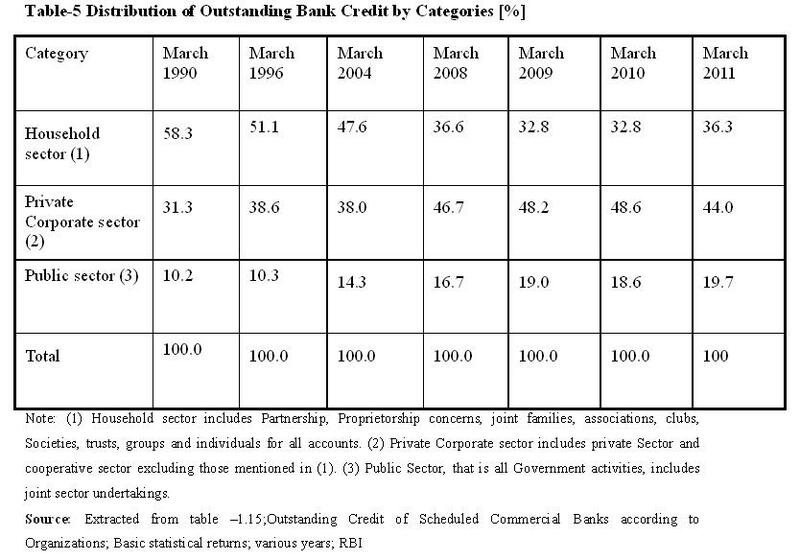 in 2010/11.The crony capitalists who default bank loans get larger share for their wasteful expenditure. Also, our small entrepreneurs get credit from money lenders using Gold as collateral. Because of declining credit from Bank channels they have to depend more on gold whose demand have shot up. Instead of meeting the credit requirements of our Kirana stores we find that our Finance Minister is going around with a begging bowl to New York and Tokyo for FII funds. An aura has been created that FII and FDI are the Anna Lakshmi for us even though in the last decade they have only been around 6 to 8 % of our investment needs. Our Kiranas and Udupi restaurants and one truck operators and barbers /plumbers/masons and small time contractors are crying for credit at reasonable rates. But we will not bother about them. . They are not the sophisticated to argue in CII and FICCI conferences They are pan chewing, dhoti clad and English illiterate entrepreneurs. They are the real engines of our economic growth. The slowdown is directly linked to the choking of these activities. The huge black money generated in our economy used to be partly financing them. Now that has also been dried up since that money is more in to real estate and gold. The solutions are not in New York or Paris but have to be found out from Kottayam to Kohima and Ahmedabad to Agartala about the credit starved productive sectors. We will find more Saradha institutions going through the cycle of rise and fall unless we understand our reality without the lens of Harvard and Wharton. The solution is to create a separate body to develop Non-banking Finance Sector [NBFS] and free it from RBI as well as the bureaucratic clutches of State Governments. RBI hands are full and so no point in complaining that it is not alert about millions of non-bank sources and uses and some time abuses. The NBFS developmental authority should primarily focus on the development of partnership and proprietorship firms in the economy by appropriate credit and lesser strangulating regulations. Sir, there is a remarkable similarity between your views and that of S. Gurumurthy. A renowned journalist and economist. Nice to hear sane voices and read credible analysis.